A Peruvian restaurant is opening on Main Street in New Canaan. 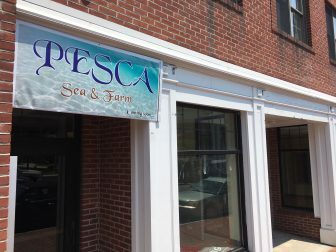 “Pesca” will open in September at 70 Main St., according to owner Wilson Rodriguez, formerly the space occupied by Japanese restaurant Plum Tree. A 30-year veteran of the restaurant scene from Norwalk, Rodirquez said he’s confident that Pesca will add to the unique landscape of options in town. ‘Pesca’ is Spanish for ‘fishing’ or ‘catch’, fitting as the menu will feature “a lot of fresh fish and fresh, high quality ingredients,” Rodriguez said. There will also be a full bar and kid-friendly options, such as rotisserie chicken, he said. The space had been sold in February by Paglialunga Inc. for $3,150,000 to a limited partnership based in Sherman Oaks, Calif., tax records show, and is to undergo a total of about $7,000 in renovations. The town approved a $1,000 building permit for interior non-structural work there last month, and received another application June 27th for an additional $6,000 of work that includes building two new walls, rearranging light fixtures and controls, and moving plumbing and sprinkler systems. Pesca will seat 60 to 80 people, Wilson said. 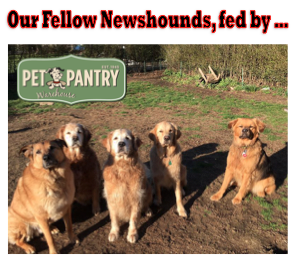 “We have a big patio and great outdoor area as well,” he said. Viva Perú! Looking forward to Pesca! That is such a great space. So glad to see something like this open there! Can’t wait for some ceviche. Sounds delicious! Looking forward to it! I am looking forward to seeing how this place will stack up against Fiesta limeña in Norwalk, Viva in Stamford and Panka in Port Chester. Yes, we are very big on Fiesta (Stamford) and especially the lomo saltado and fresh fish ceviche. Would be great to have such a high-quality option in New Canaan. HI Michael, I just saw the new sign up today, do you know if they’re officially open?